With his classic Hollywood good looks and his comic timing, Cary Grant became one of the most famous and beloved leading men of all time, rubbing shoulders with huge stars like Clark Gable and James Mason. But off-screen, life wasn’t so rosy for the star. He famously once said that “everyone wants to be Cary Grant. Even I want to be Cary Grant,” and a new documentary called Becoming Cary Grant reveals just how hard it was for a young Brit named Archibald Leach to transform himself into the movie star we all know. Using Grant’s private letters and home videos, the movie reveals secrets that even his biggest fans didn’t know. Like, for example, how Grant was affected from a young age by his mother’s mysterious disappearance. Grant came home one day when he was a boy to learn his mother had moved to a resort town and abandoned his family. His father quickly remarried, but Grant couldn’t get over being “rejected” by his own mother. To fill the hole in his heart, Grant says he chased relationships with other women, from his 5 short and unhappy marriages to a rumored connection with Marilyn Monroe. It wasn’t until decades later that Grant discovered his mother had actually been institutionalized in an asylum. He took her home and cared for her through the rest of his life, but the impact of her “disappearance” still weighed on him. Click the next page to learn about Grant’s experimentation with LSD! Before Grant’s reunion with his mother, the star tried everything to find happiness. Along with his many romantic relationships, Grant found more unusual ways to occupy himself. The star practiced yoga and hypnosis, but what he found most helpful was taking LSD – the psychedelic drug. According to Becoming Cary Grant, the star had his doctor, Mortimer Hartman, give him the drug once a week. Hartman was also a kind of therapist for the actor, and he must have done a good job because the documentary claims Grant left him $10,000 when he died. In private letters, Grant says LSD let him explore his subconscious, and showed him “seas of horrifying and happy sights.” In the end, nothing seemed to help the star overcome his personal demons. 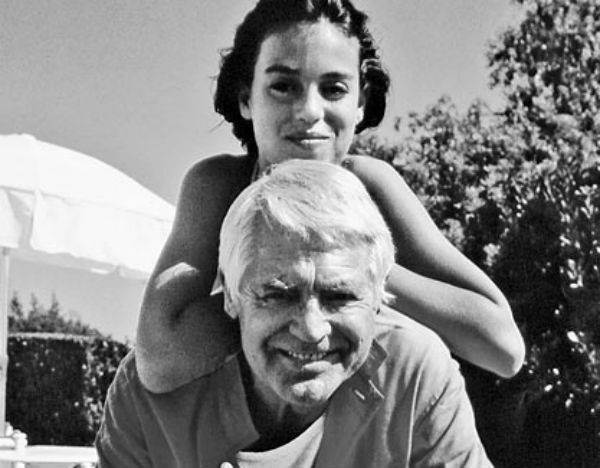 After his daughter Jennifer Grant was born, Cary retired from public life to raise her, which seemed to help him settle down. “You spend your time getting to be a big Hollywood actor,” Grant wrote, “but then what?” It seems he had a hard time answering that question. Share this story if you love Cary Grant!